So with my new job, I had to travel to the ‘burbs of St. Louis for a few days. And although I went a few years ago for another company, I made the mistake of not renting a car. 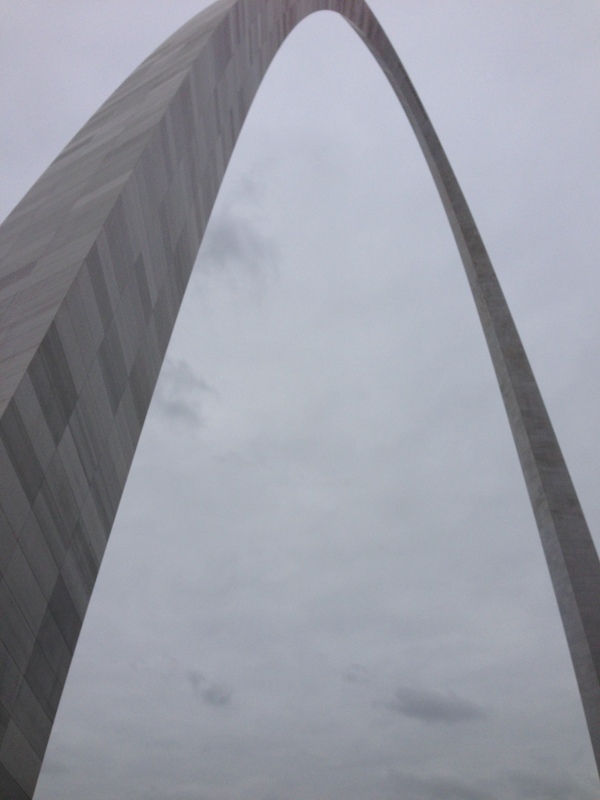 So I did not have a way to get into St. Louis and enjoy its many offerings. 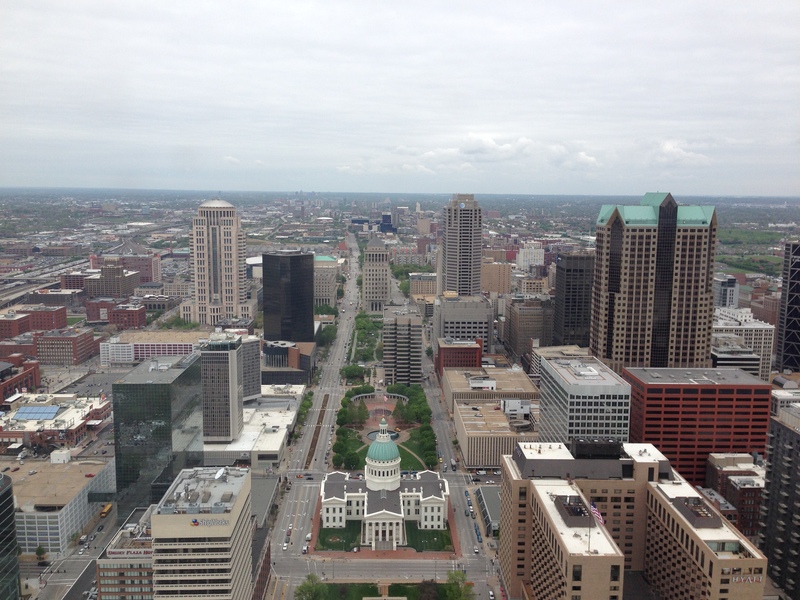 On this trip, I STILL didn’t really get to explore St. Louis as I would have liked. 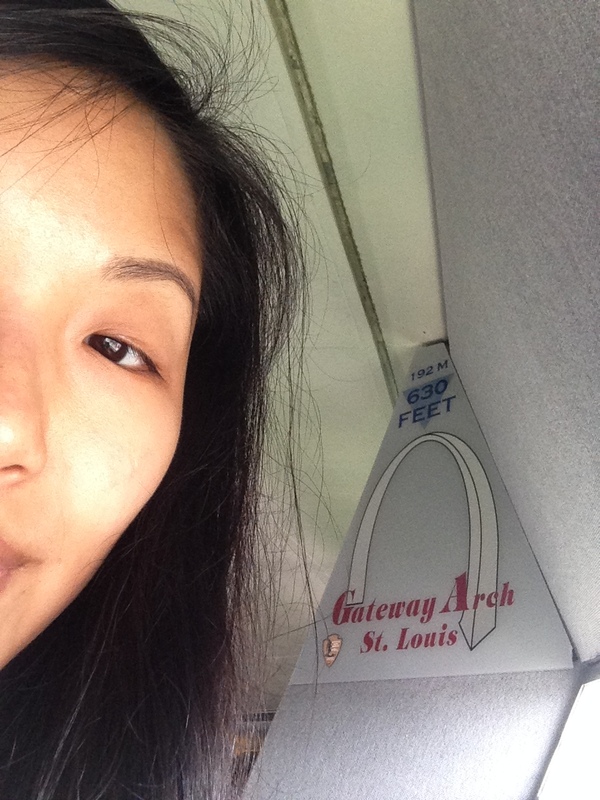 But I did get to visit the famous Gateway Arch since I had a few hours before my flight. 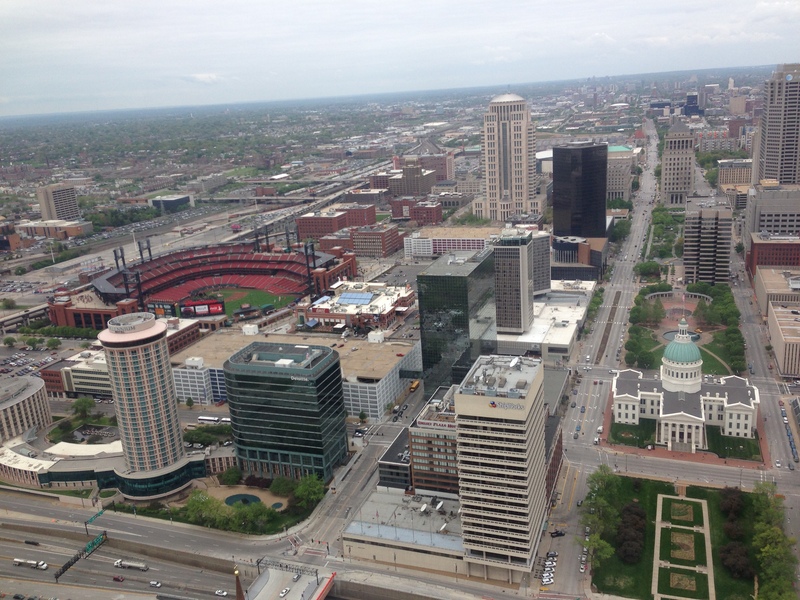 I had NO IDEA that you can actually go inside the arch and view the city of St. Louis from the top. My mind was blown. On a side note, as I was leaving for St. Louis from Dulles Airport, I noticed that the road surrounding Dulles is named after the same architect, Eero Saarinen, that designed the Arch, as well as the airport terminal itself. Guess it was meant to be. It’s hard to imagine what feat and genius it takes to accomplish such beautiful structures. 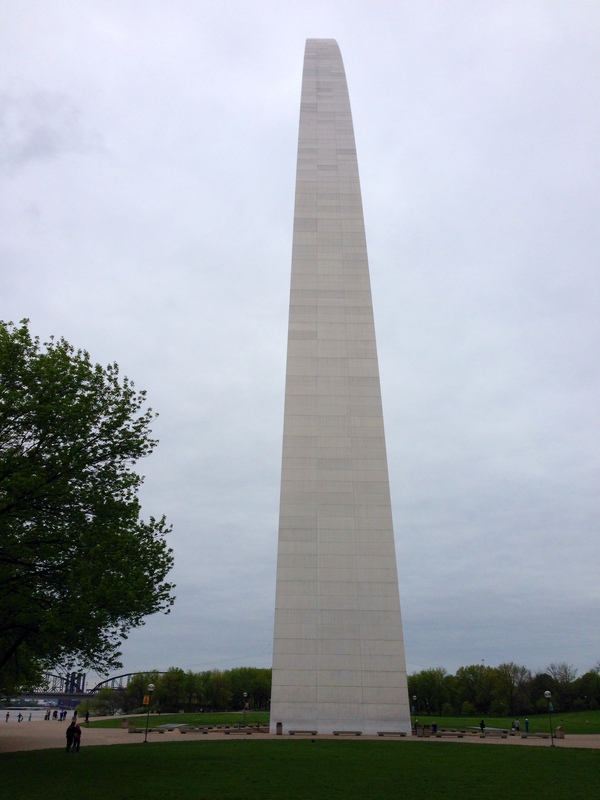 Back to the Arch – so as I am walking to the Arch, I see it from the side and it looks like an obelisk, much like the Washington Monument, which I pass by all the time. It was about 5-6 feet across. There are five seats and you’re definitely friendly with the people shoved in there with you. As you go up in this pod tram, it starts mechanically adjusting to the curve of the track and it’s really freaky at times but also cool. Haha. 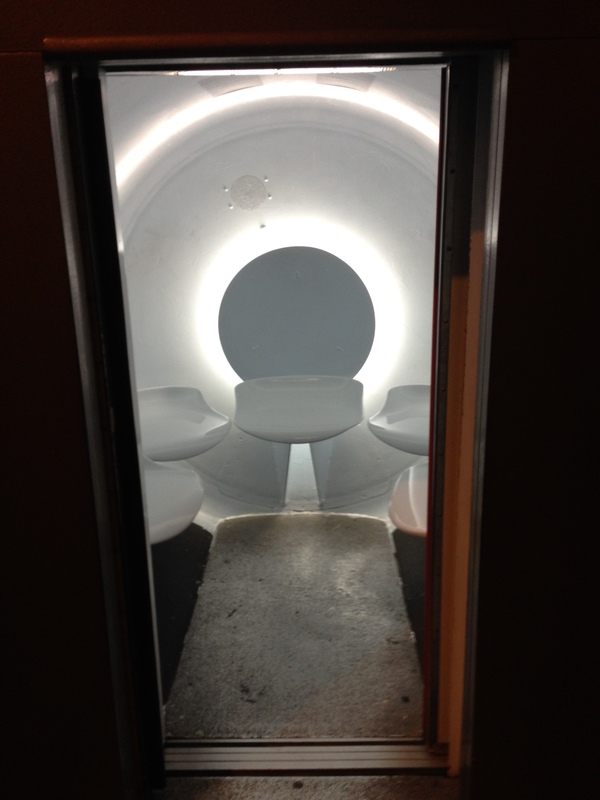 Here is a view of the inside of the Arch as you go up in the futuristic pod. 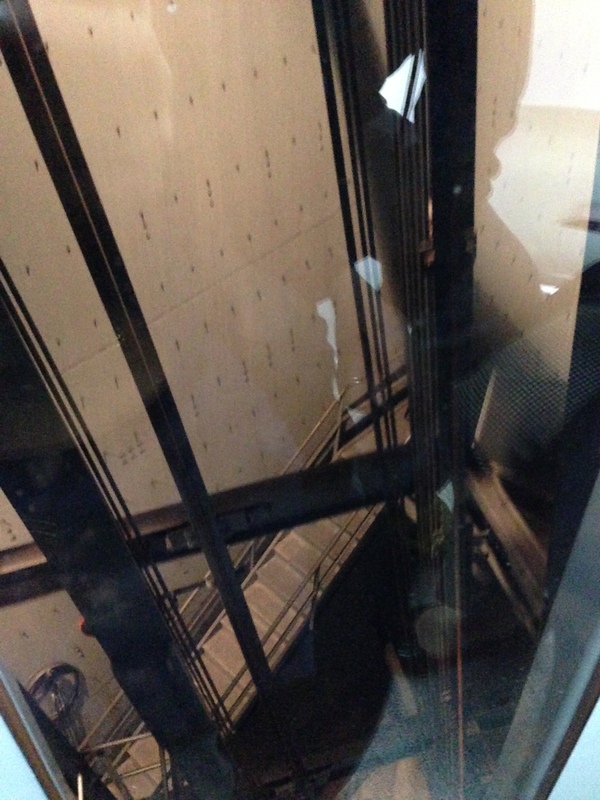 At the top, you are 630 feet from the ground and man, what a view! On one side you have the city of St. Louis. 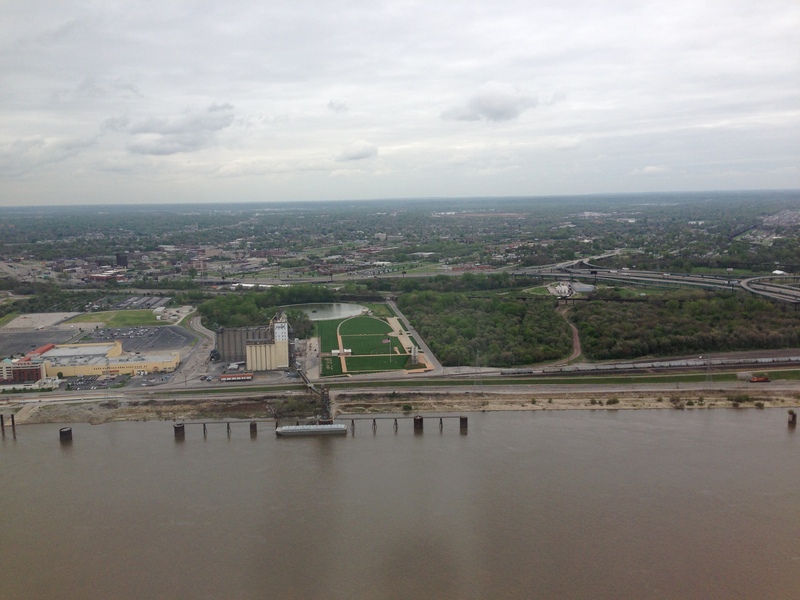 You can also see Busch Stadium where the Cardinals play. You could also see Edward Jones Dome where the Rams play, but you really have to stretch yourself to see the dome. You are viewing these sights from windows that are maybe 7 inches in height and 18 inches in length and have to bend at an awkward angle to look through the windows. On the other side, you can see the Mississippi River. Imagine the steamboats back in Mark Twain’s day, where it was the major mode of transportation before the trains came along. St. Louis was too late in the game in building tracks and Chicago ended up being a major trade center of the midwest. There’s your history lesson for the day. LOL.